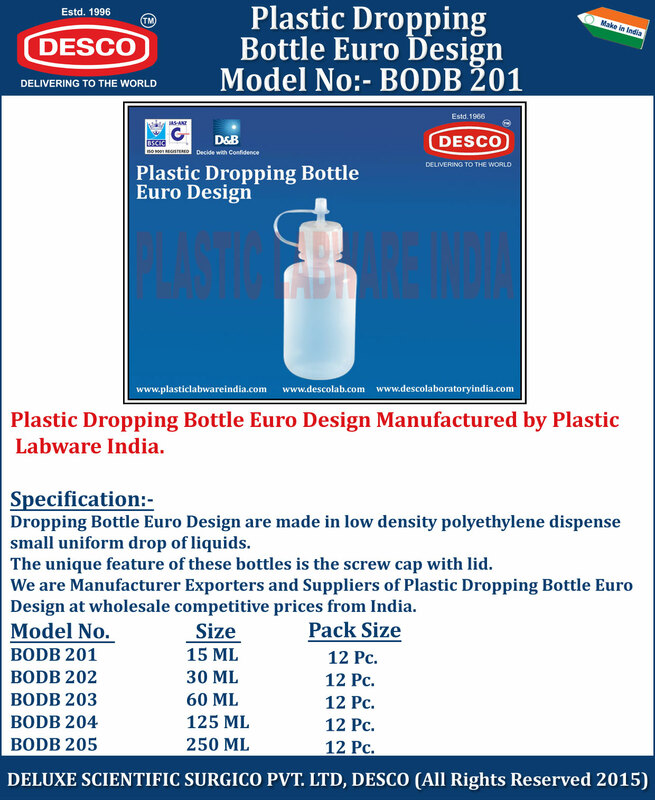 Dropping Bottle Euro Design are made in low density polyethylene dispense small uniform drop of liquids. The unique feature of these bottles is the screw cap with lid. We are Manufacturer Exporters and Suppliers of Plastic Dropping Bottle Euro Design at wholesale competitive prices from India. BODB 201 15 ML 12 Pc. BODB 202 30 ML 12 Pc. BODB 203 60 ML 12 Pc. BODB 204 125 ML 12 Pc. BODB 205 250 ML 12 Pc.